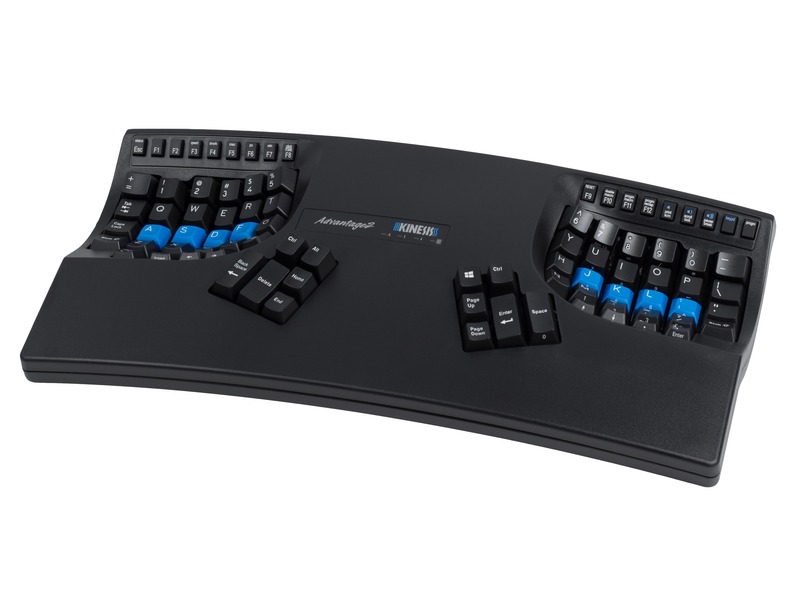 Ergonomic keyboards and mice are not medical treatments, but Kinesis peripherals are engineered to address the most common risk factors for typing and mousing. 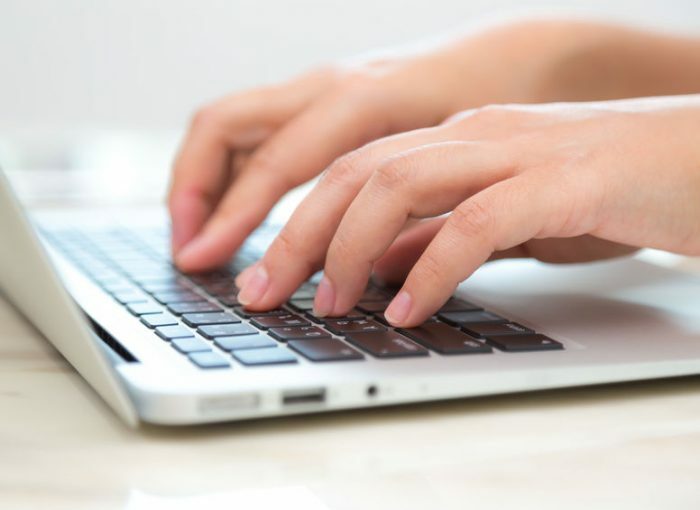 If you are experiencing pain while typing or mousing, the first step is always to see a doctor. The Kinesis team has decades of experience developing keyboards that address the most common typing risk factors, but we’re not doctors. 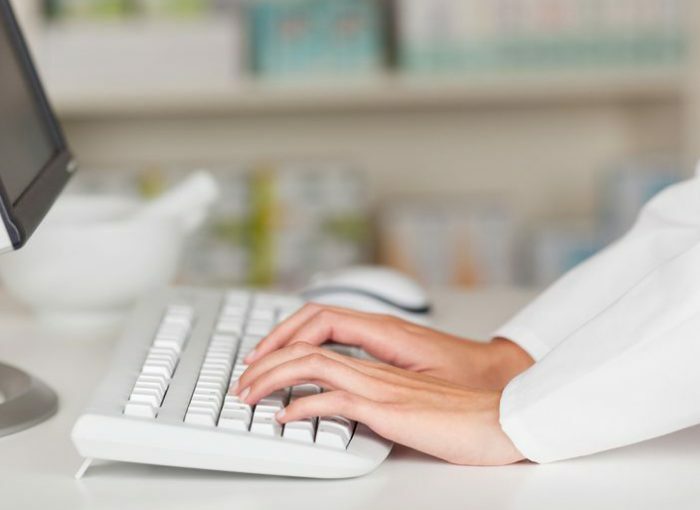 Once you have a diagnosis, then you can contact an ergonomics specialist to make specific recommendations about modifying your workstation, work habits, and peripherals. Ulnar deviation occurs when the wrist is bent outward in the direction of the little finger. 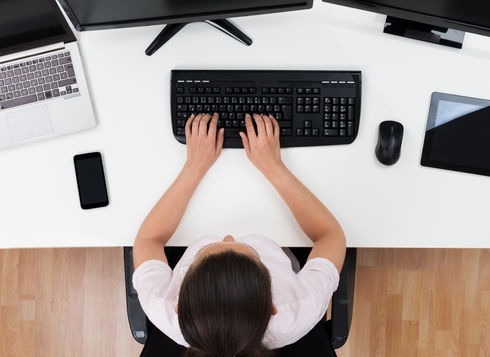 It is among the most common and potentially damaging keyboard postures and can lead to carpal tunnel syndrome and other serious repetitive strain injuries. With traditional keyboards, the span of your shoulders exceeds the contiguous width of the home row of keys. In order to position your hands over the home row, it is necessary to bring the hands together in front of your body with deviated wrists. Ulnar deviation constricts the blood flow through your wrist, requires static muscle tension, and puts pressure on the median nerve which runs through the carpal tunnel in the wrist. Ulnar deviation is a problem for all body types…from small to large…but it’s especially exacerbated in individuals with broad shoulders. 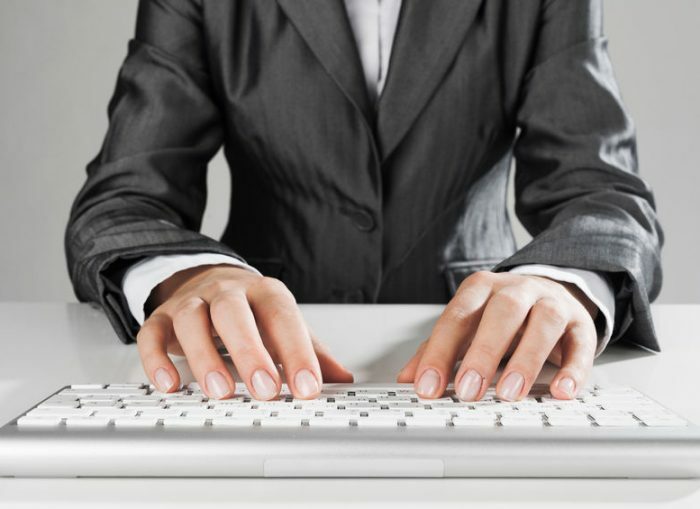 Pronation in the forearm and wrist occurs when typing with the palms face down towards the work surface. The majority of this turning involves the rotation of both forearm bones (ulna and radius). Sustained pronation puts pressure on the forearm muscles and tissues, reducing blood circulation which can lead to fatigue and repetitive strain injuries (“RSI”). Research demonstrates that a moderate elevation of the thumb side of the hand dramatically reduces pressure on the forearm muscles. Wrist extension occurs when wrists are bent up and back, putting fingers higher than the wrist joint. This posture greatly reduces blood circulation in the hands which can lead to pain, fatigue, and numbness. Most traditional keyboards, and even many ergonomic keyboards, have a positive 10 degree slope with “pop-up feet” in the back that exacerbate the problem. Even “neutral slope” keyboards can lead to problems if the user drops their wrists down in front of the keyboard and making contact with the work surface. 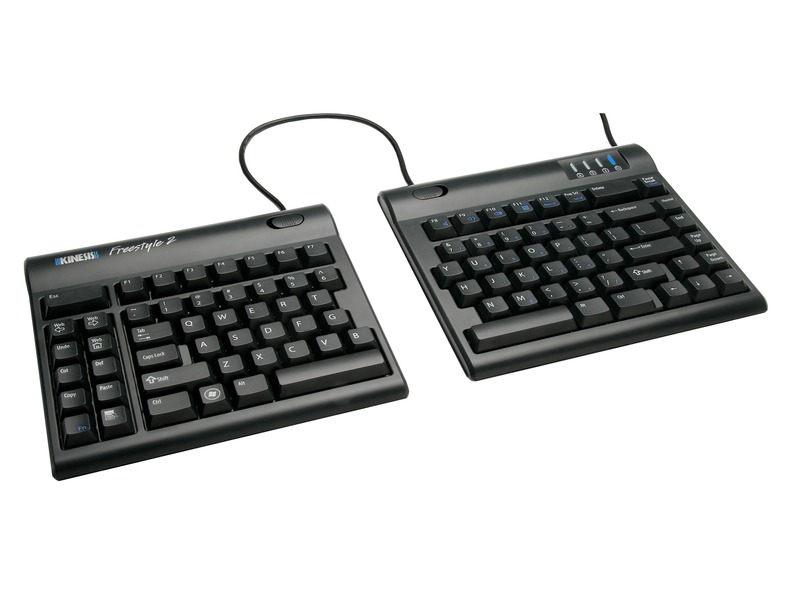 Most traditional, and even many ergonomic keyboards, have an integrated numeric 10-key which increases the overall width of the keyboard. The wider your keyboard, the further from your body you have to position and reach for the mouse. When you have to extend your forearm and shoulder to reach for the mouse, you put unnecessary strain on your forearm, neck, and shoulders. 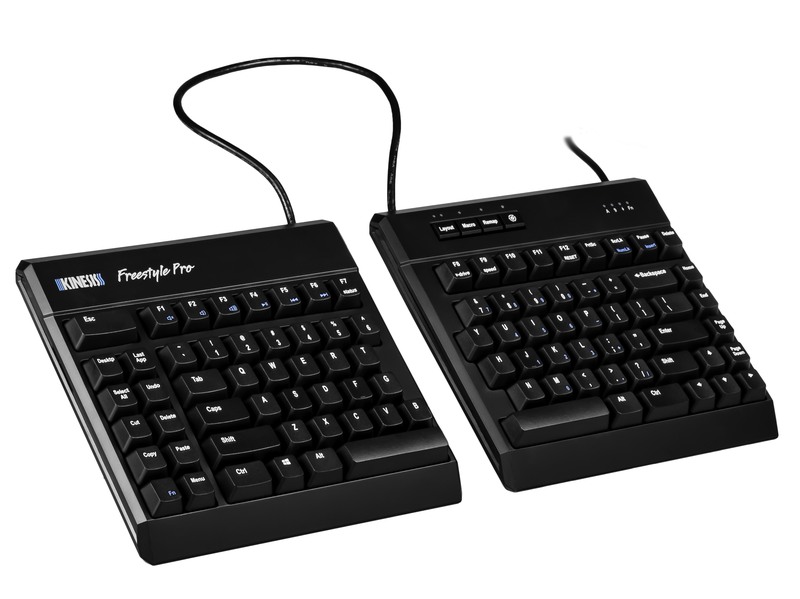 Most traditional, and even many ergonomic keyboards, feature keys with a high activation force and/or “short-travel” switches. High force keys require more effort to actuate and thus cause more finger strain and fatigue. Short-travel key switches, like those found on laptops and many “budget-friendly” keyboards, require that you fully-depress the key, or “bottoming out”, to actuate it. The result is thousands of unnecessary micro-impacts on your fingertips each day. The effects of both high key switch force and short key travel bottoming out are cumulative over time and can cause a variety of health issues.